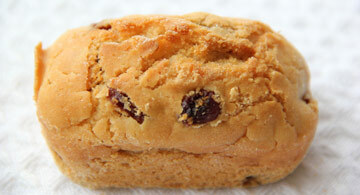 A good scone alternative, this fruity treat is made with succulent sultanas. Made according to the traditional Irish Buttermilk soda recipe. A unique blend of Pinhead Oatmeal, Brown Linseed, Sunflower & Pumpkin Seeds. Penny Loaves are a variety of premium, YEAST FREE Irish soda breads that are fully baked in the shape of a mini loaf (45-65g) and blast frozen. Ideal for the Hospitality & Foodservice sector, you JUST THAW & SERVE! 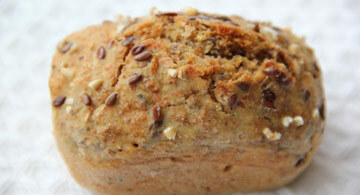 Penny Loaves are a nutritious and wholesome alternative to yeast breads that are made with pure, natural ingredients to age old traditional Irish recipes by 3rd & 4th generation family bakers,O’Donohues Bakery. Simply thaw & serve these award winning little creations for a versatile product that is consistent every time. Using Penny Loaves can help you REDUCE YOUR COSTS, WASTE AND IMPROVE EFFICIENCIES as there’s no need to bake off and they have a 3 DAY DEFROSTED SHELF LIFE. Wholesome SOUP and SALAD Accompaniment – The Ultimate Choice for CHOWDERS! O’Donohues Bakery is a 3rd and 4th generation family run bakery that was re-established in 1989 in Tullamore, Co. Offaly, Ireland by husband and wife team Cathal and Frances O’Donohue. 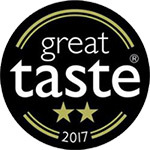 O’Donohues produce handcrafted, artisan breads from their BRC Grade A, state of the art facility and their products have been winning gold stars in the prestigious Great Taste Awards since 2006. In 2013, O’Donohues created the first Penny loaves which were deemed to be a fresh innovation on traditional breads and by late 2013 they officially launched the Penny Loaf Co. brand to the Irish Foodservice Market. In 2015, O’Donohues Bakery started exporting the Penny Loaves to the UK Foodservice market and expanded into the French market in 2016. O’Donohues Bakery have the flexibility and capacity to manufacture a wide variety of breads and continue to build on The Penny Loaf Co. brand. New Product Development is ongoing through the close monitoring of trends and consumer insights. Today, Cathal, Frances and daughter Louise, all work in the well-established family business. "The Penny Loaves are fantastic, versatile products that are consistently perfect every time and as it´s thaw-serve it cuts out needless wastage, I use only what I need." The Penny Loaf Co. are exhibiting at The Restaurant Show in London's Olympia from the 2nd - 4th October 2017. 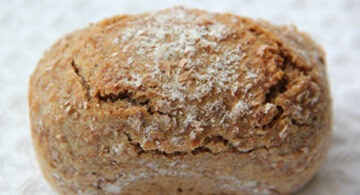 Find us on stand UQ83 where we will be happy to present our new and existing range of Penny Loaves. New flavours include a variety of sweet and gourmet mini breads including Ginger Cake Penny Loaf, Sticky Toffee Pudding, Sundried Tomato & Rosemary Penny Loaf, Cheddar & Chive and our delicious individual portion sized Christmas Pudding Penny Loaf. Cathal, Managing Director of the Company, has said, "Baking has always been my passion and this is the driver. Without this and my dedicated team behind me, we wouldn't be where we are today. There are many challenges facing business owners today so to win this award would be fantastic! Even to be nominated, in itself, inspires me and the company to embrace change even more and continue developing products that meet consumer demands." Grade A BRC Accreditation - After a very thorough and intense BRC Audit, The Penny Loaf Co & O'Donohues Bakery were awarded Grade A BRC proving that the Penny Loaf Co. & O'Donohues are committed to ensuring that the highest levels of Food Safety and Hygiene are achieved. EIQA – O’Donohues Bakery has achieved a LEVEL 3 - Q Mark for Hygiene & Food Safety again for the 3rd year running. O’Donohues Bakery and The Penny Loaf Co. have submitted their plan for Bord Bia’s Origin Green Programme to demonstrate our commitment to producing quality products in a sustainable manner.